Mohammad Mithun Ali is a Bangladeshi born cricketer who plays for the Bangladesh National Cricket Team. He is a wicket-keeper batsman and also plays for the Sylhet Division in domestic cricket. In the Bangladesh Premier League, Mithun plays for the Rangpur Riders. He is a right-handed batsman. Mithun was born on 13 February 1990, in Bangladesh. He is a wicket-keeper batsman who plays at the top of the order, often opening the innings for his team. Mithun has an average build and a height of 5 ft 10 inches. Mithun made his international debut at a T20 international game on 12 February 2014 against Sri Lanka as a replacement to the injured Mushfiqur Rahim, the then captain of the Bangladesh cricket team. This was before the 2914 T20 World Cup. It was Mithun's second call up for the Senior National Team after being named in the 2009 T20 World Cup squad. He made his ODI debut against India on June 17, 2014, where he scored 26 runs. Mithun was named in the Test squad for the Bangladesh National Cricket Team in October 2018 and made his Test debut on November 11, 2018, against Zimbabwe. He was then the most experienced Bangladeshi debutant making his international Test debut after 88 first-class matches. 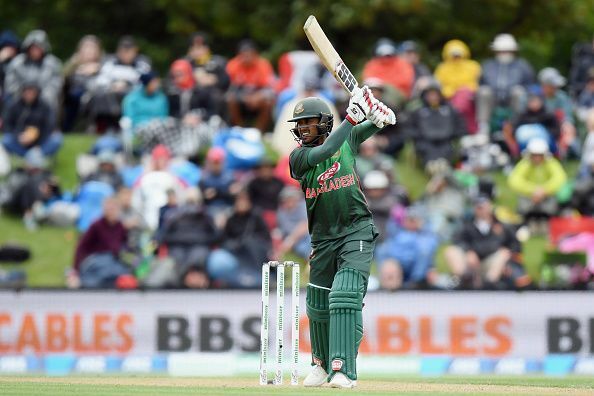 Mohammad Mithun Ali has been named in the Bangladesh National Squad for the ICC Cricket World Cup 2019. Mithun made his first-class debut in November 2006 for Sylhet Division. In 2008/09, he topped the run charts for his team with 285 runs at a commendable strike rate of 105 in limited overs cricket. He played for Barisal Burners in the Bangladesh Premier League. In October 2018, he was included in the Rangpur Riders team, following the draft for the 2018–19 Bangladesh Premier League.